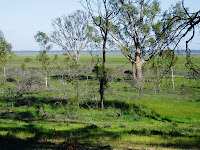 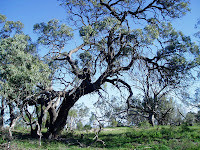 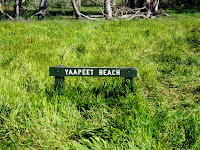 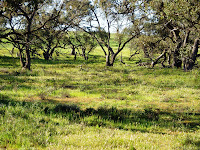 Located about 4k West of Yaapeet and 12k North of Rainbow beside the lake which is unfortunately dry at this time, is Yaapeet Beach camping area. 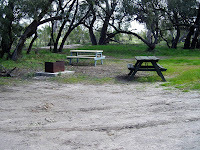 In the lake area itself, there are plenty of level, well grassed, open camping sites and around the lake there are a couple of tables, wood BBQ’s and a multitude of open and shaded sites. 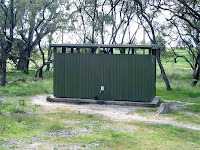 The toilet is a long drop and a water tank has some water which is suitable for drinking. 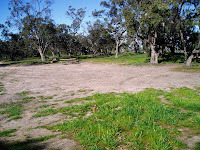 A small beach has white sand with some shade and would be a great spot to spend a hay hour when the lake had water. 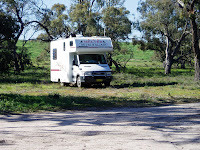 During our stay we spoke with some members of a Caravan Club who were going to attend a rally at nearby Lake Hindmarsh. 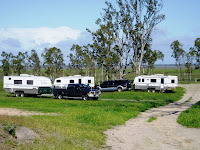 We trust that they will enjoy their meeting.